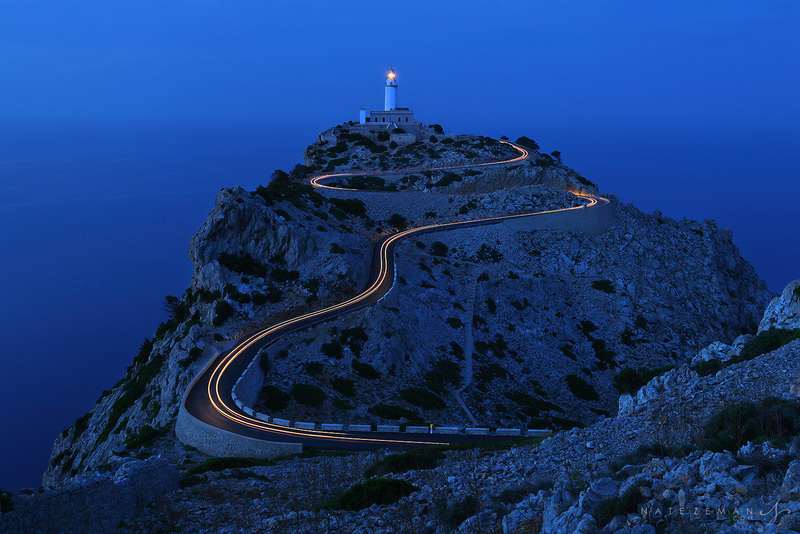 A long winding road leads you to the very tip of the Cap De Formentor on the island of Mallorca. At the terminus, a beacon shines high on the sheer cliffs almost 700 feet above the Mediterranean Sea. 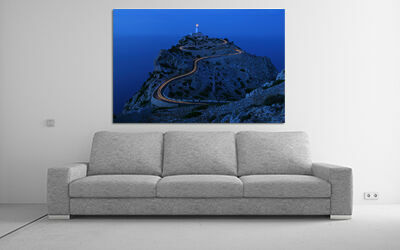 This is the Formentor Lighthouse. Long after the sun has set, the sea, sky and land blend into various shades of blue. A lone warm streak of lights from a car slithers its way down the serpentine road, captured through a long exposure.